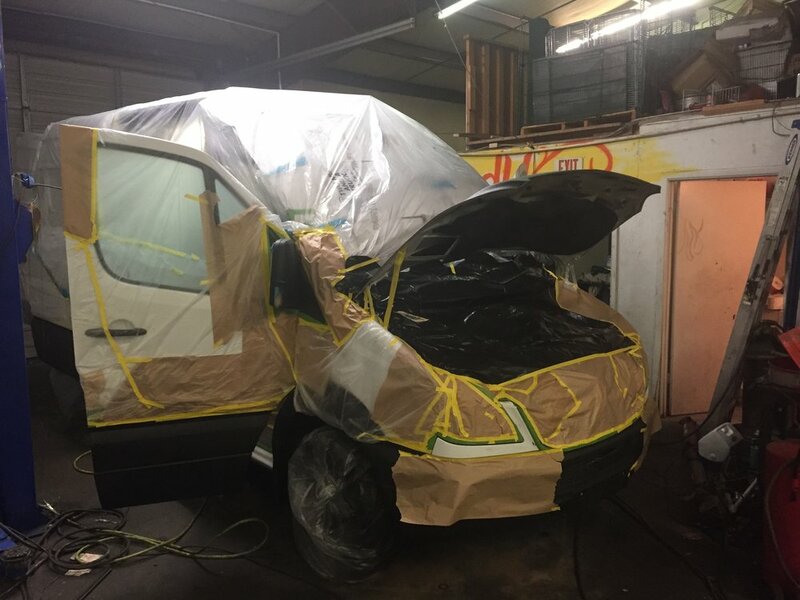 After gutting everything out of the van so we could have a clean canvas, we addressed some big rust issues on the door panel. For about three days, we sanded all the small problem areas pretty good and we cut out and patched the huge rust section from the door panel trim that was letting in water overtime. Once we got the trim off, we were able to look at the problem area. It seemed that the trim was letting water in between the trim and the door and it would just pool there because of the contours of the van and get stuck thus, causing a massive ugly rust spot. Randomly after fixing the rust, I came across a comment on a YouTube video. 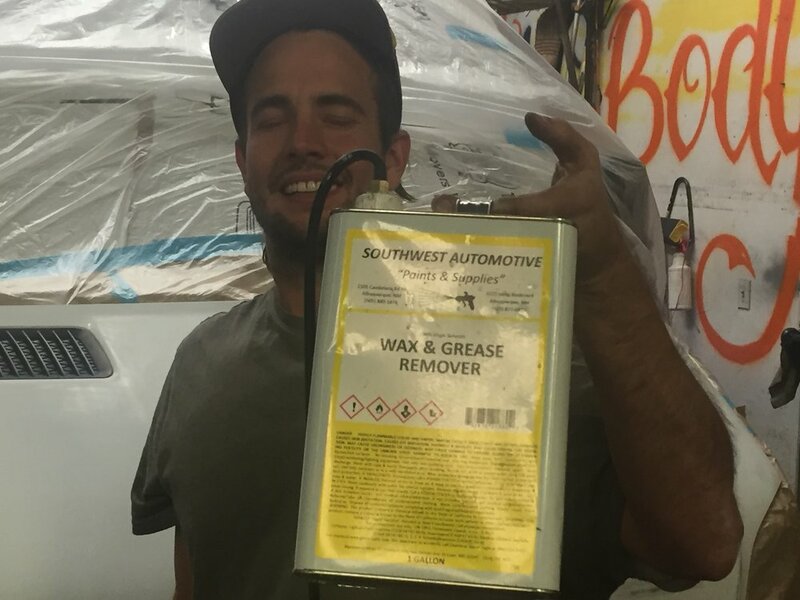 Someone from Australia commented that [in Australia], this was a recall issue where Dodge or Mercedes would fix issue prior to it causing rust and body damage. Since I have a used ’07 Sprinter, I figured we had missed that window of opportunity to get it fixed, if it were even offered in the US. We tapped off the exterior. Then, we sprayed degreaser on all exposed to-be-painted areas and let it dry. After that was dry, we sprayed an adhesive promoter over that. 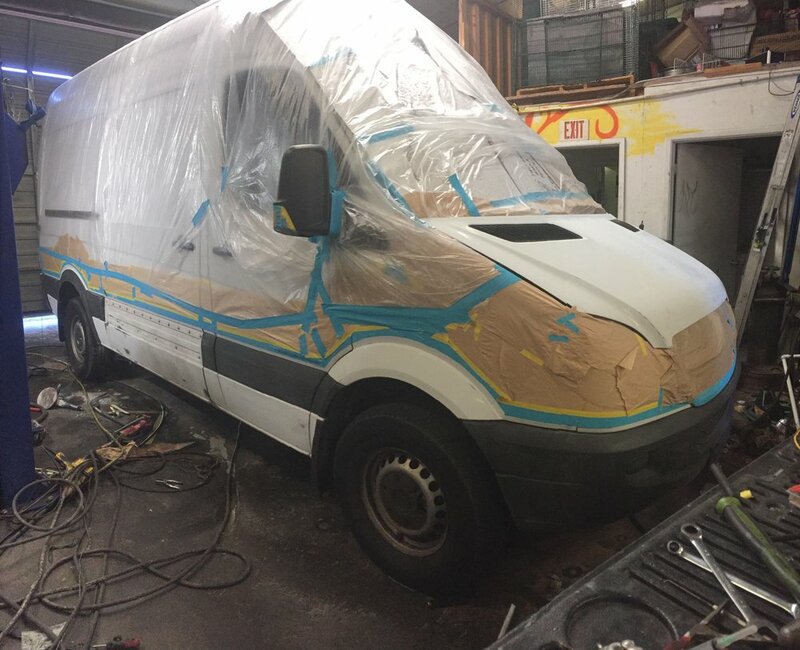 After about 15-20 minutes of letting that dry, we sprayed the Raptor Liner over the existing stock grey trim and continued the paint line around the back and on to the hood of the van. 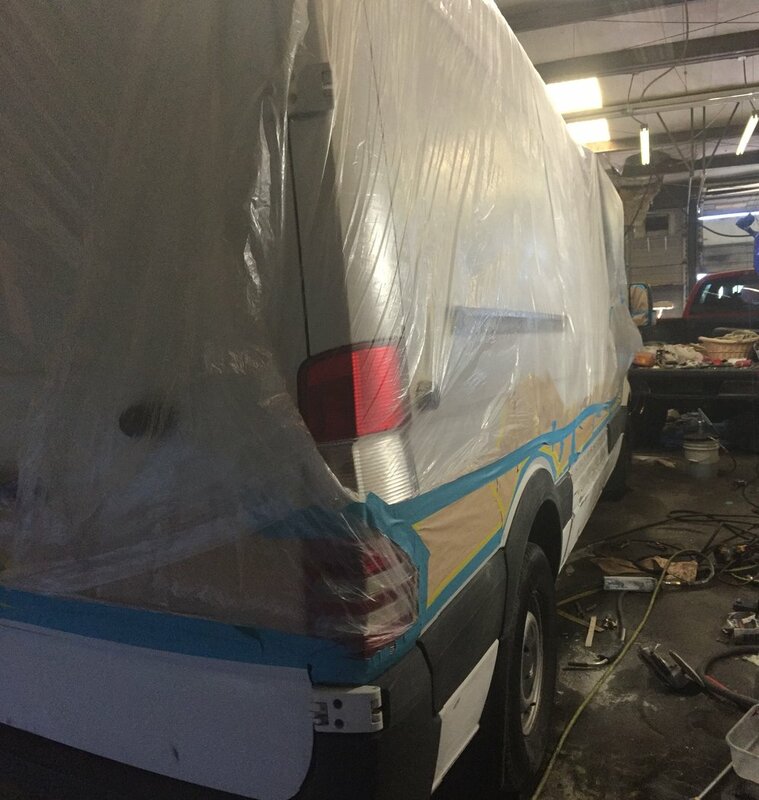 We tried to seal the grey trim to the van by taping off a clean line about an inch above the trim. 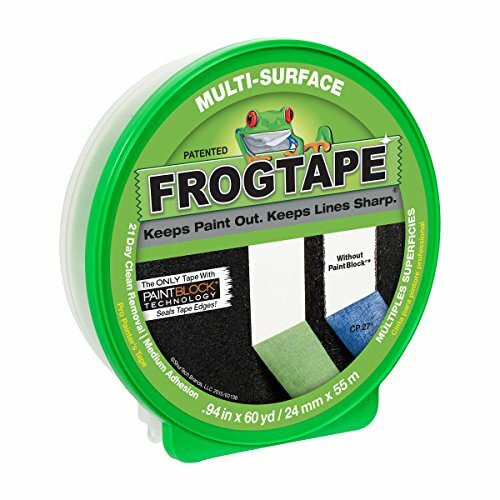 So that way the Raptor Liner would create a nice paint seal on the trim seam. We tapped and painted the interior of the doors for the trim to make it look consistent when the doors were open. Here, we included the interior door steps into this line as well. We did the same method: Tape off, Degreaser till dry, Adhesive Promoter till dry then, Raptor Liner. There was some extra paint after the trim was double coated. So, we used the last of the kits to do the interior floor. This will give us some extra insulation and moisture barrier. We had some “help” actually spraying the Raptor Liner because we had never done it before and were too scared to mess the paint job up! In the end, we were over charged for all the elbow grease that we put in sanding jobs and prepping jobs for the easy stuff to be done, like the paint job. It’s a long mechanic ripping you off story that we will spare you. You always save money doing it yourself! 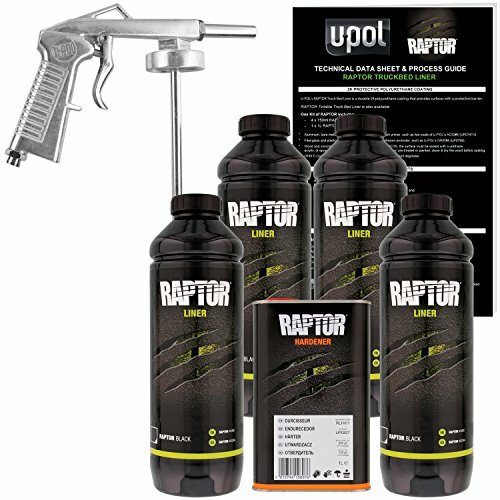 But, we ignorantly paid $480 for two sets to paint, but I have found them here, on Amazon for $108.96 for one set, with a free gun. First (kinda expensive) lesson learned with the van: There’s gonna be a lot of stuff we are intimidated by with this build, but nothing YouTube and other experienced Bloggers can’t help us with prior to paying someone else to do it. We are here to share those lessons with you so that your build can hopefully go smoother than ours did. So, that is $217.92 for two sets, with two guns. (The paint is thick and gunks up the gun sometimes. So, an extra gun would be nice! We just soaked our one in acetone every night.) If you have an air compressor, you are good to go with this set. On our third day of painting, we actually ended up having to paint the floor ourselves. Since a sub-floor was going over it, and after watching for the past two days, we weren’t intimidated. At that point, we realized painting was the easy part! You just gotta make sure you paint it under the shade (and protected from dust) or inside a well ventilated garage. Make sure it is not in direct sunlight when spraying your vehicle. We were (still are) beating ourselves up for not doing it ourselves the entire time. So don't be scared. We plan on addressing the rest of the body later, by ourselves. All in all, the project took us 3 days prep + 3 days taping and painting. But, this depends on your sanding situation. We only worked afternoons and we had a lot of tiny rust spots and a really big ugly rust spot that ended up needing to be cut out and a new piece re-welded. If you don’t do the interior bottom, then you will only have 2 days painting and tapping.